I’m so excited to finally show you a look into our sweet Eloise’s nursery! Decorating a space has always been super fun for me, so I knew that creating a chic Parisian inspired nursery was going to be right up my alley. 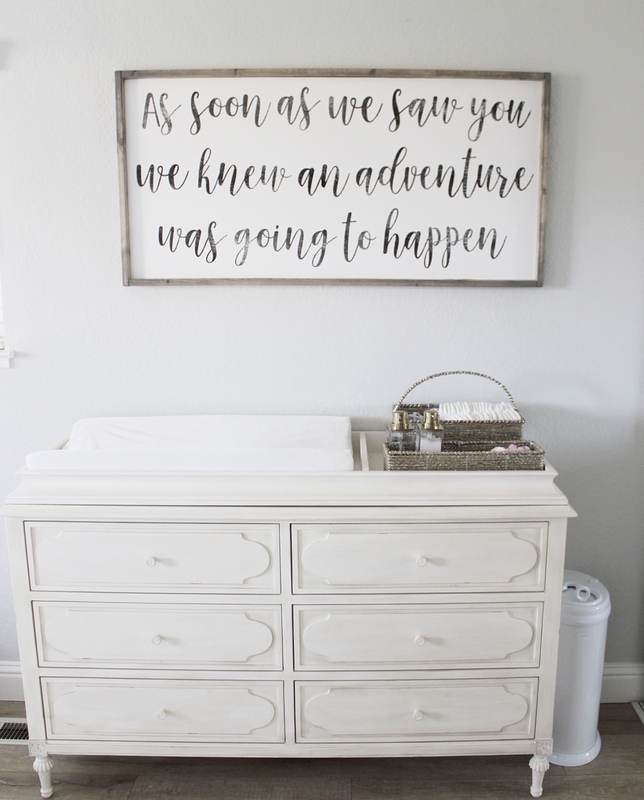 I’m extremely detail oriented (ask anyone who came to our wedding) so every piece and detail in this nursery was thought out, dreamed of and put into a specific place. We went with light blush pink and white tones with gold accents to keep the look clean, chic and crisp. Starting to decorate a nursery from scratch can be totally overwhelming so, if I had to give you one tip for starting your nursery decorating process, it would be to pick the colors you want first and stick with those when finding pieces to fill the room. It makes it easier to decorate if you stick with a couple of colors that go really well together and think of a theme ahead of time. You will see that when you start to add items and put everything together, the colors will flow and everything will go together well easily! A lot of you have waited patiently for this post, so I hope you enjoy it! We are so happy with how everything turned out and we are even happier to have her home with us so that we can really enjoy the space with her in it! Feel free to message me with any questions or pin any of these pictures to your Pinterest boards! I tried to tag everything down to the last detail, but let me know if there is something specific you are looking for! 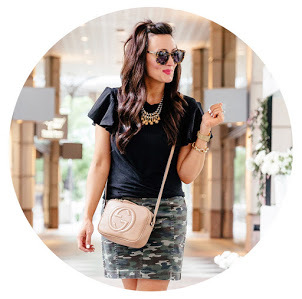 Thanks for stopping by and I hope you loved getting a glimpse into our little girl’s nursery! So beautiful! Question… what color is on your walls? Stunning! I’m also obsessed with your wood floors, are they original or did you recently add/refinish? Her nursery is just perfect!! So lovely, friend! !